With the announcement of the BlackBerry Pearl 3G at WES 2010, the official BlackBerry Blog ran an interview with the Product Manager in charge of RIM's newest candybar (or "powerbar" as RIM refers to it) form factor BlackBerry to hit the scene. Joseph Gordon answered a bunch of questions related to the new device. If you're interested in the new Pearl 3G, it's definitely an article to check out. We'll give you a couple of the questions below and you can jump over to the full interview on the link at the bottom of this post. Q. The BlackBerry Pearl 3G smartphone design seems to amalgam pieces of many familiar BlackBerry smartphones. What was your inspiration for the look of the BlackBerry Pearl 3G smartphone design? A. The BlackBerry Pearl 3G smartphone had two of the best possible inspirations: the BlackBerry Pearl 8100 smartphone and the BlackBerry Bold 9700 smartphone. We wanted a handset that was true to the form of the original BlackBerry Pearl 8100 smartphone, but brought in some of the high-end styling of the BlackBerry Bold smartphone line. Also key was how it felt in the hand: we wanted something that was comfortable and easy to use, particularly in one-handed situations, which is very popular with the younger demographic. Like both products, it combines power and elegance to deliver not only an attractive smartphone but one that can handle whatever applications the customer needs. Q. 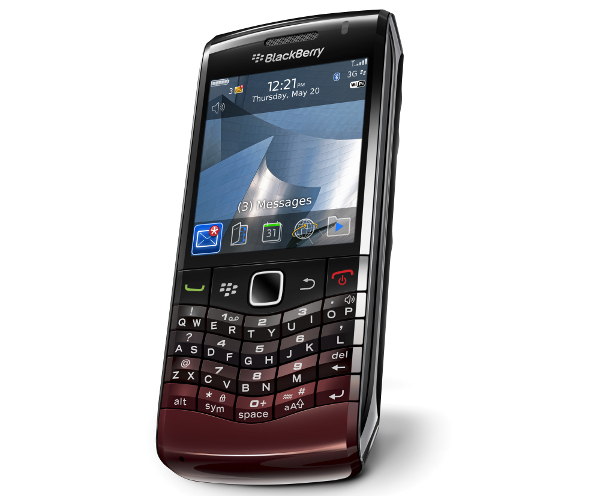 As you noted, the BlackBerry Pearl 3G 9105 smartphone has also been announced, featuring a traditional phone keypad. What was the reason for this decision and what markets is the smartphone intended for? A. First, both models use SureType software - which actually refers to the word completion software that underlies both the 9100 model and the 9105 models of BlackBerry Pearl 3G smartphone. We call the keypad on the BlackBerry Pearl 3G 9100 smartphone a "condensed QWERTY", as it takes our familiar full QWERTY layout and condenses it to only 20 keys, allowing for a smaller smartphone. And we've continued to grow the capabilities of SureType and it now supports both our full QWERTY smartphones and the traditional phone keypad as well. The main reason we decided to launch the BlackBerry Pearl 3G smartphone in two different models was to address the different stages of smartphone acceptance around the world. In the Americas or parts of Asia Pacific where full QWERTY handsets are very common, it made sense bring out a sleek, compact smartphone with a condensed-QWERTY keyboard. Elsewhere, such as Europe and the majority of Asia, traditional phones are still much more common than smartphones, so we decided to introduce a BlackBerry Pearl smartphone with a 14-key keyboard that customers would be more familiar with.